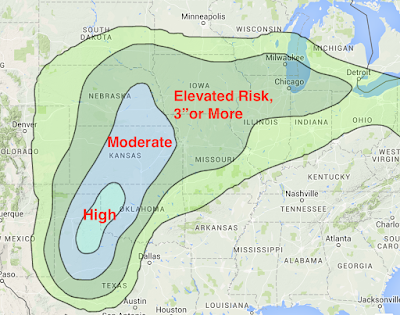 MSE Creative Consulting Blog: Weekend Travel Forecast for the Central U.S. I'll probably regret writing these words but I am starting to have a little bit of confidence in the forecast for the weekend blizzard. To the southwest of the line winds will be gusting to 35-40 mph dropping visibility and making travel conditions very hazardous. Winds will still be gusting to 30-35 mph throughout the area at this time. 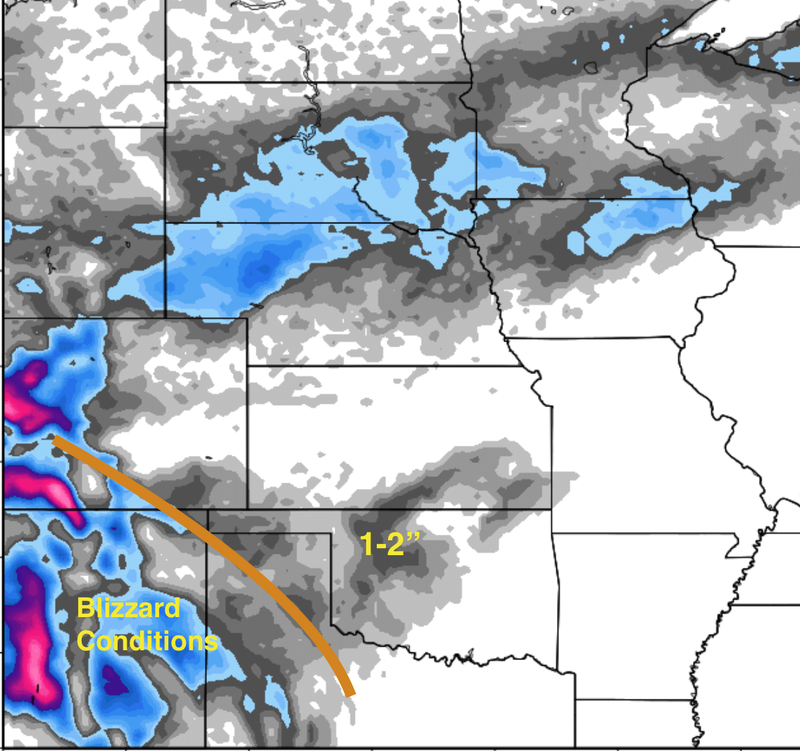 Accumulations will be up to 15" in eastern New Mexico and, by that time, 6" or so along the Kansas-Oklahoma border. 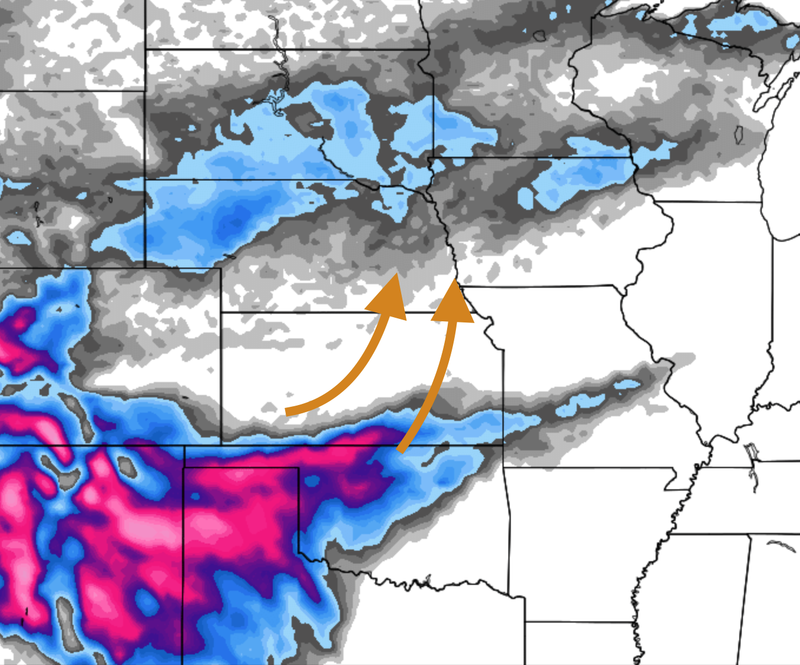 About that time, the pattern of heaviest snow accumulation should turn north into central Kansas. The longer-range statistical guidance seems to have come into line with my thinking. Below is the guidance from 6pm Sunday to 6pm Monday. 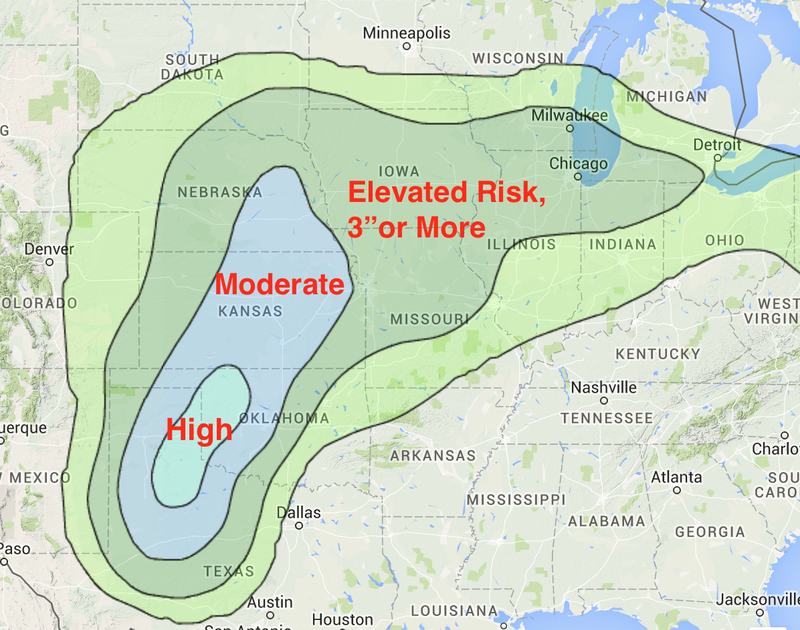 It is forecasting the likelihood of 3 inches or more of snow. There will be considerable drifting of snow and roads will be hazardous. 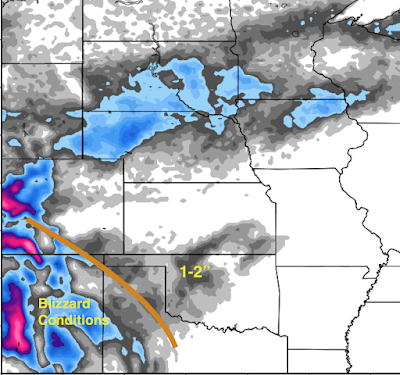 There is a smaller storm over the northern Plains that is not well reflected in this data. The pink are areas of winter storm warnings for 4" or more of snow. The purple is a winter weather advisory (a lesser condition). 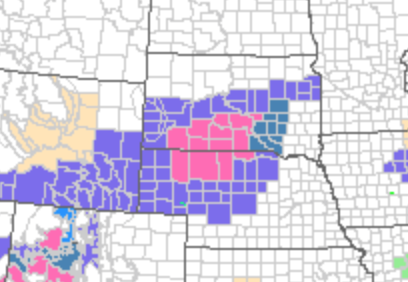 The dark green in southeast South Dakota is a winter storm watch. Note: If you have friends or family planning to drive in these areas over the weekend, please make them aware of this and future forecasts. Thank you.